Location: Sited below the west end of the Cathedral beside the mill-stream. The otherwise accurate Act Book of 1679 refers to a ''new'' house built by the Chapter in the churchyard, furnished and in use in 1684 and this is probably the one referred to; although there is already a house on the site recorded on John Speed's plan of 1610. The first range is the north-south one beside and backing onto the path. This was extended towards the millstream in 1926 by Sir Charles Nicholson. The east wing was then joined to the Cathedral via the Processional Way by George Pace in 1953-6, and there was a further two storey north extension by Robert Heaton in 1985-6. 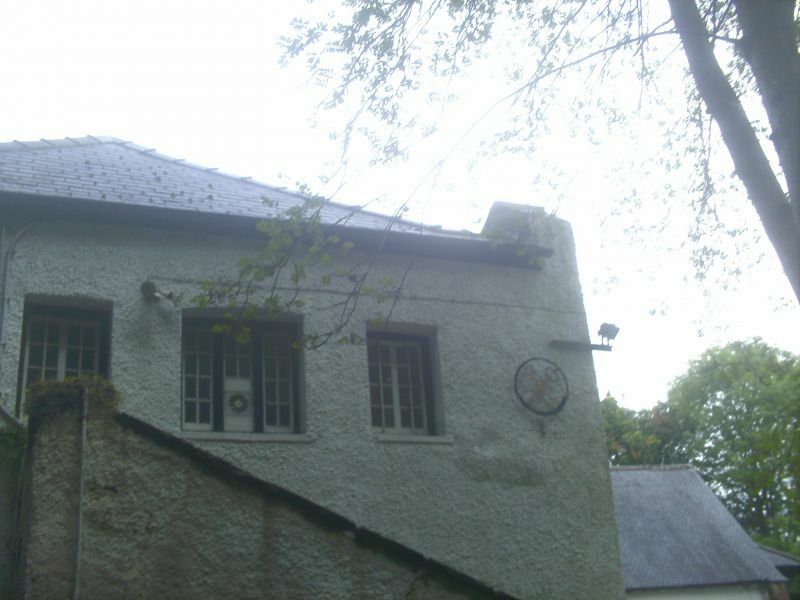 Roughcast rendering on stone rubble walls, Welsh slate roof. Original build: East side to Cathedral of one storey; central 6-panelled door with architrave and with triangular hood on brackets flanked to either side by a sash window with 6 over 6 panes. Rear elevation to lane of 2 storeys with old external chimney breast; modern windows flank chimney. Hipped roof. North gable end has three small paned casements, probably dating from 1926 as windows on rear. Adjoing this is a wing at right angles dating from 1926. This has a c1700 type doorway with Tuscan surround, flanked by small windows. Archway to lower level at right and then the rubble walling of the 1950s Processional Way. The end elevation beside the lane has three small paned windows below and three cross-framed casements above. Attached to the east end of this range is the 1980s two storey wing of stone rubble with hardwood windows. Nearly continuous lights to the Processional Way on this side. This joins to St. David's Chapel and further description will be found with the Cathedral. Only partially seen at resurvey, in the east wing which was built in 1926 and partly rebuilt in the 1950s by George Pace as part of the general post WWII restoration of the Cathedral. The Processional Way contains fitted cupboards and an C18 stone urn, the only surviving relic of the John Wood ''temple'' which stood within the ruined Cathedral in the C18 and early C19 (see Cathedral). Included for it s special interest as a Prebendal House which, despite changes, retains considerable historic and architectural interest. On the north side of the Cathedral beside the Prebendal House. Sited below and to the north of the plateau which carries the village but forming a striking object from every direction as the most prominent building in north-west Cardiff. Joining the Cathedral Churchyard to the North Churchyard over the old millstream.